The system comes equipped with a reliable Pentair Fleck 2510 air injection control head that automatically backwashes the system daily to clean the media and flush everything down the drain. Using the Pentair Fleck 2510 valve with air injection nozzle, the system is able to put the whole oxidation process inside one tank. Our Air Injection Oxidizing Filter System is an efficient and cost effective system for the removal of iron and sulphur. The system maintains an “air pocket” in the top of the tank while the system is in service. As the water passes thru the air pocket, iron and sulphur are oxidized & then after dissolved oxygen is added to the water. The filter media bed then removes the iron and sulphur from the water. 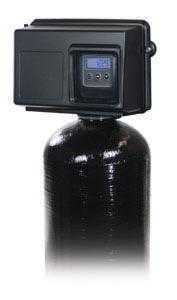 The air injection oxidation systems can remove up to 8 ppm Hydrogen Sulfide and up to 7 ppm Iron. A daily backwash will remove accumulated iron and replenish the filter media bed. The regeneration process also adds a fresh air pocket to the system. The system comes equipped with a reliable Pentair Fleck 2510 air injection control head that automatically backwashes the system daily to clean the media and flush everything down the drain. The system is able to put the whole oxidation process inside one tank, keeping maintenance costs and down time to a minimum. 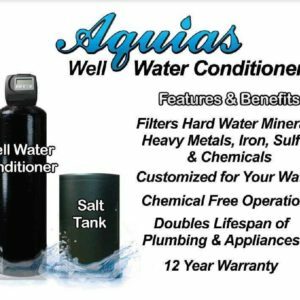 The systems include 3/4″ by-pass valve, black mineral tank and all necessary media and support bed for individual application.